JUST SOLD in 30 DAYS for over 98% of LIST PRICE! Impossibly cool huge Junior 1BR space in the old-meets-new heritage loft conversion at the Exchange on the edge of the ever-evolving Village on False Creek. 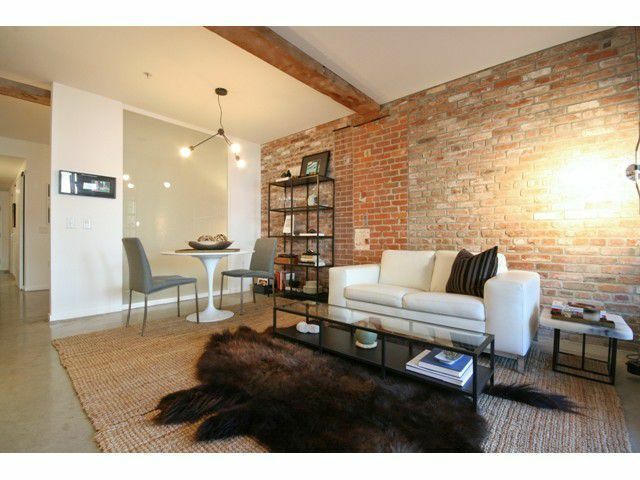 This home oozes designer style w/original character features like exposed brick, wood beams & polished concrete flr. Sleek modern kitch by Dada w/gas range, stainless counters, & Electrolux appliances. 4-pc spa-like bath w/soaker tub & separate seamless shower enclosure. Rare for lofts, this pad comes complete with a 130sqft outdoor covered patio, 1 secure parking, in-suite storage room + separate lrg storage locker. Excellent building, with killer rooftop deck (incl community gardens & spectacular views), lounge for private functions, & an unbeatable location that keeps getting better & better...Pics & 2D/3D floorplans avail on Realtor's site.